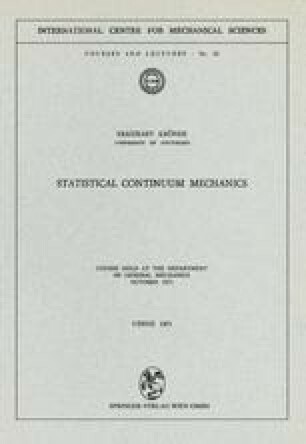 This is the classical example of an application of statistical and probability theory in continuum mechanics. The stochastic nature of the turbulent flow follows from the fact that the particle velocities fluctuate over distances which are small compared to other dimensions of the flow. The question whether turbulent flow is a solution of the Navier-Stokes equations has been discussed and is not trivial. Today it seems to be generally accepted that the Navier-Stokes equations should, in fact, allow turbulent flow.